Wishing you all a Happy New Gardening Year! This month I want to share with you, two of my favourite winter flowering plant groups. They will brighten up the darkest of days, attract bees and bumblebees on a mild winter day, can be luminescent and come in a kaleidoscope of colours as well as being tough!! 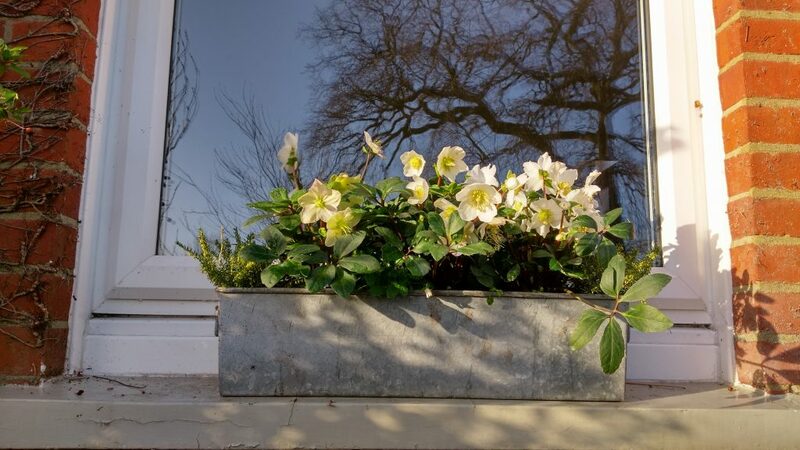 The two plant groups are Hellebores – Christmas and Lentern Rose and Winter flowering Heathers – Erica Carnea and Darlyensis. I am using a combination of both in containers or you can plant in the ground directly. Mix with Violas, Skimmia Japonica and any left over Spring bulbs to give even more interest. John Massey at Ashwood Nurseries, Kingswinsford in the West Midlands has been breeding different strains of hellebores for over 30 years. 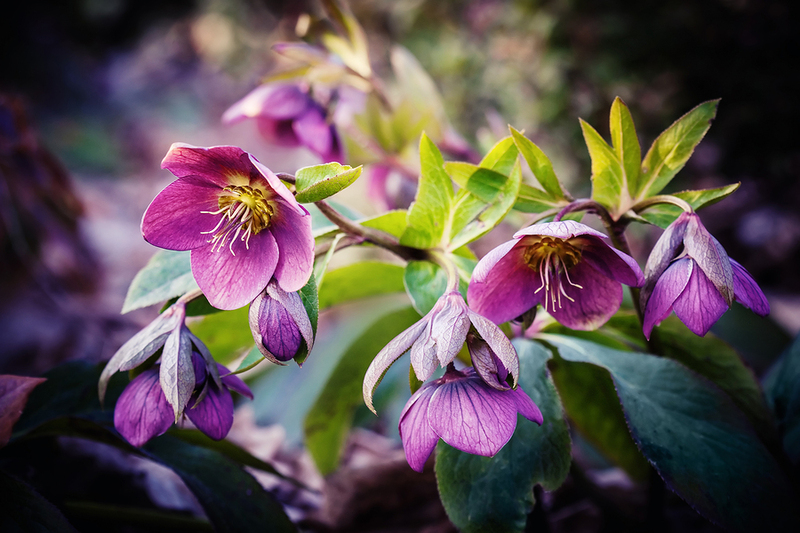 The Ashwood Strain of Garden Hybrid Hellebores are ‘simply the best’ and are available in many garden centres or from AshwoodNurseries.com direct. A word of warning you might end up addicted to these beautiful plants. 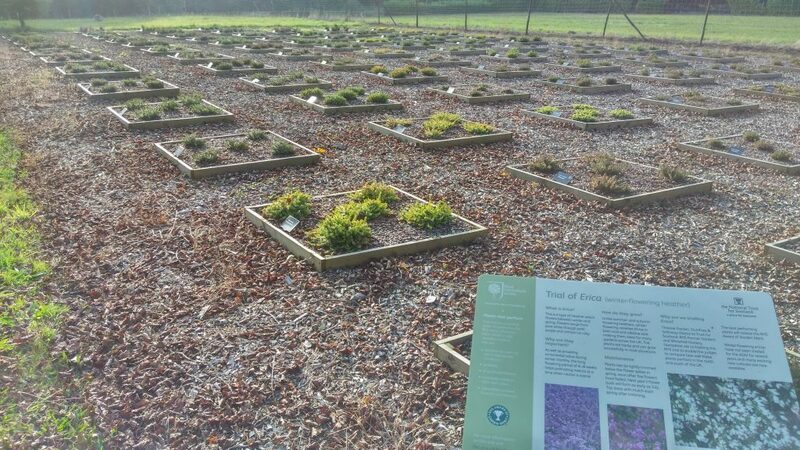 The foliage can be marbled, shiny and the colour of the flowers from white, yellow, pink, burgundy to almost black, frilly, double, single…..
Heather trial at John Hall Plants. I approached the RHS five years ago suggesting they consider doing a fresh Award of Garden Merit (AGM) trial on Winter Flowering Ericas, as the last trial was over fifteen years ago. Since then some very exciting and impressive new varieties have come onto the scene, worthy of an AGM. Because there wasn’t sufficient room for such a trial at Wisley Gardens, it was decided to run the trial at two sites, in the south at my nursery, John Hall Plants Ltd, Headley Down in Hampshire, and in the north at Threave Gardens (National Trust for Scotland), Dumfries & Galloway. Eighty eight varieties of Erica carnea, Erica x darleyensis and Erica erigena were donated by five UK specialist heather nurseries. Some of these Ericas already hold the RHS Award of Garden Merit and are included to act as a bench mark, as well as many new introductions. At my nursery we planted up five one year old plants, grown in 9cm pots, of each variety, into one metre square beds, 88 beds in total. 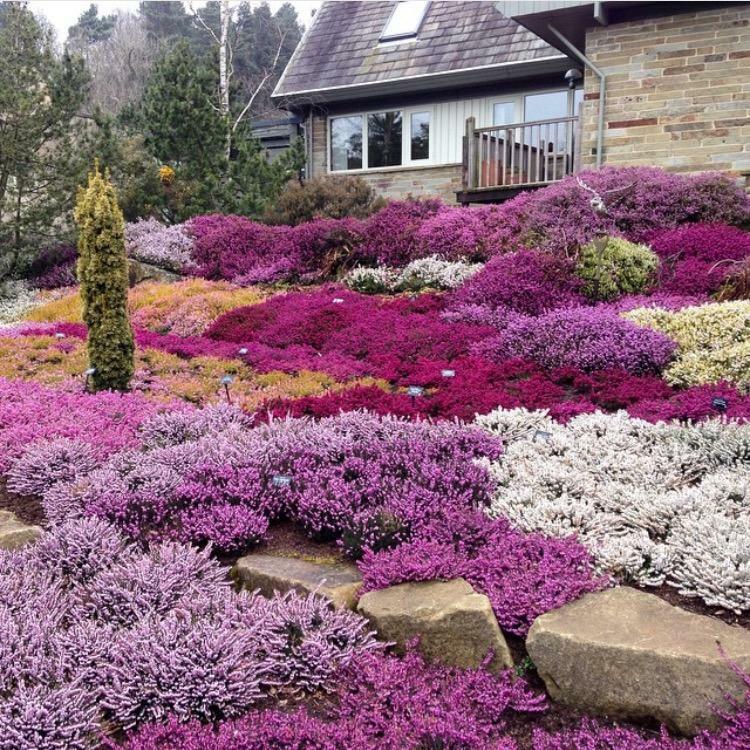 At Threave Gardens they have also planted five plants each of the eighty eight varieties, but in an ornamental garden setting, spread over three beds, as a display of what can be achieved with heathers. Both sites were planted up last year, in September 2015. The Ericas at both sites will be assessed by a forum of ten experts from within the industry, each spring, over the next three years, starting spring 2017. The forum will be looking for health and vigour, quantity and quality of flower colour, length of flowering, foliage colour and variation, as well as resistance to pest and disease. When the trial comes to it’s conclusion in 2019 those Ericas considered to be extremely good garden plants will be awarded the AGM. It is a misconception that all heathers require an acid soil. This is not true of Winter Flowering Ericas, which will thrive in most soil types, acid or alkaline, in full sun, or partial shade. A range of Winter Flowering Ericas will provide colour from November until the following May, with white, pink, purple and red flowers, as well as the yellow, gold, and orange foliage, which turn terracotta red in the depths of winter. They are also “Perfect for Pollinators”, providing much needed sustenance by way of pollen and nectar during a period when there is little else available in the garden. Queen Bumblebees come out of hibernation in February/March, desperate for a feed, before going on to lay their eggs and start a new brood. Heathers are low maintenance, only requiring a trim back after flowering, irrespective of when they flower. Trim below the flower spikes, using hedging shears, to encourage new growth from the base of the plant. This will eventually produce a compact, bushy plant, with lots more flower, and prevent them from becoming leggy. It is most important to do this in the first three years, then you will have done all the hard work. Erica carnea ‘Whitehall’ – White flowers, from December to May, on bright green foliage. A naturally compact plant. Bred by my late Father. Erica carnea ‘Winterfreude’ (winter joy) – Crimson flowers, November – April, on mid-green foliage. One of the first to flower. Erica x darleyensis ‘Rubina’ – Ruby flowers, November to April, on dark green foliage with ruby tips in spring. A lovely combination of rich flower on dark foliage. Erica x darleyensis ‘Snow Surprise’ – pure white flowers, December to May, on bright green foliage producing yellow spring tips. The brightest flower and foliage combination I’ve seen. Prune Vines – cut back side shoots to create spurs to 2 buds. Prune bush Roses – cut back by a third to reduce wind rock. Check all plants for damage after recent gales. Check stored fruit, veg, bulbs and corms. Buy open-ground/bare root Roses and fruit trees/bushes, hedging plants – generally better value now with larger root systems, and establish better. Dig over raised beds or allotment, some of you may use the No Dig method!! Add plenty of compost/manure for the worms to do it for you! Clean machinery and tools, book in for a service or repair. 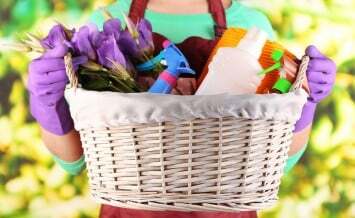 Plan for the coming season – enjoy armchair gardening with catalogues or online gardening. Insulate greenhouses, pack plant pots together in a sheltered corner, a cold January is forecast especially the middle of the month. Clean out nest boxes, bird feeders and bird baths. Sort out seed packets, clean pots, trays and labels. To round off I will be heading out for a walk on a cold frosty morning with the camera and a pair of binoculars. It won’t be long before the first sightings of Snowdrops and Primroses, keep warm and enjoy. I have a beautiful Mahonia which has got very large and overhangs the path also shading the rest of the bed. I will have to remove it but wondered if I could take some cuttings now to grow another. It is just to big to move. I would value your advice. If you can wait, cut back after flowering. You can be really brutal cutting back into old stems with no leaves on with a hand saw. I've cut back Mahonias 8-10 foot tall and as wide back to 3 feet. It looks like a few sticks, but it will regrow this spring I promise! Easier to do than dig it up! Mulch after the chop and feed in the spring. I have several orchids that are spilling over the plant pots with their roots, and I am not at all sure what to do with them as a lot of the roots are not in the soil or water. My husband always cared for them, but no more and I am so concerned that I might lose them, they are flowering well at the moment. 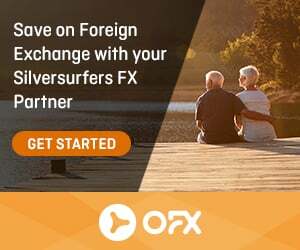 I would be very grateful for your advice. It sounds like you're orchids are the Moth orchid- Phalaenopsis. Don't worry about the aerial roots this is natural for the plants to do. They must be happy as flowering well. The worst thing is to over water them. Carry on as you are and Don't Panic!